Staff photo by John Rawlston/Chattanooga Times Free Press - Art teacher Pam Hopkins teaches a sixth grade art class at Loftis Middle School on Tuesday. Students include, from right, Hunter Rogers, Alan Rogers, Kelsey Pressnell and Cale Morgan. A new method of determining teacher tenure based on Tennessee Comprehensive Assessment Program scores has created uncertainty for art, music, theater and physical eduction teachers, whose subjects are not directly tested by TCAP. It's easy for Pam Hopkins to tell that her art students have made progress in class. Comparing a middle schooler's self-portrait from the beginning of the year to one completed at the end of the class, Ms. Hopkins shows how the harsh, jagged lines of the first effort have softened into smooth, realistic contours of the face by the second. The subjective assessment comes easily for Ms. Hopkins, who sees the students in class every day, but the Loftis Middle School art teacher worries about state education officials starting to measure teachers' effectiveness based on student progress. "They'll be looking for a measure of growth, but right now, no one knows how they're going to judge the arts," she said. "I think I can adapt, but I want to make sure it's a fair assessment." After a special session of the Tennessee General Assembly in January, lawmakers decided that 50 percent of the decision to grant tenure to Tennessee's public school teachers will be based on students' test score data. The new method of evaluation is a natural fit for math, language arts and science teachers, whose students take state standardized tests every year anyway. But for those who teach subjects such as art, physical education and music, the connection isn't so clear. Katie Huffine is in her first year teaching music at Spring Creek Elementary, so she has not yet received tenure. She said local music teachers have been in contact via e-mail about ways they might suggest to the state that they be evaluated. One suggestion is to evaluate performances by schools' music groups, but she noted that elementary school groups have fewer performances than middle and high schools, so she worries what that might mean for her. "We don't perform at every (parent-teacher association) meeting, so would that count against me?" she asked. "It's unnerving." Tennessee Sen. Andy Berke, D-Chattanooga, who co-authored the education bill, said that, during the special legislative session, lawmakers discussed options such as using independent judges for art teachers or considering Advanced Placement scores. "We had detailed conversations about the possibilities," he said. "The reason we decided to form this committee and put experienced teachers, principals and administrators on it is because we needed the most appropriate menu possible for the wide variety of teachers." Gov. Phil Bredesen called the special session in January because he said certain changes to K-12 education were necessary for Tennessee to compete for federal Race to the Top funds. 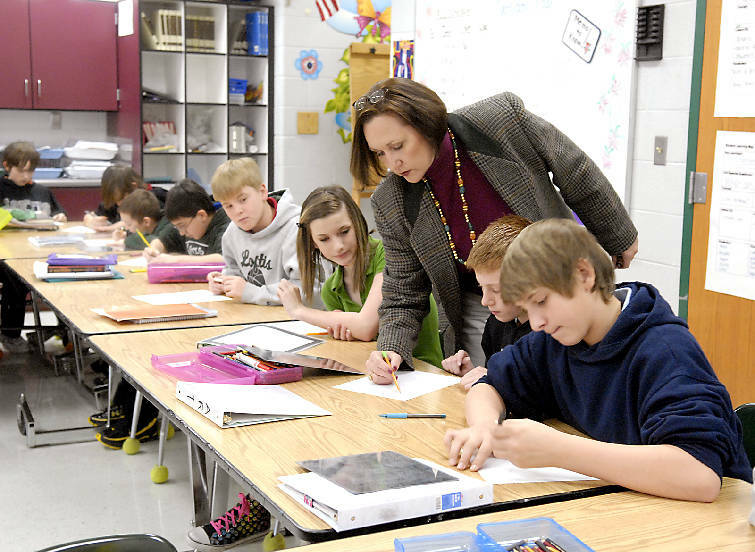 If Tennessee wins between $400 million and $500 million from Race to the Top, a portion of the money could go toward creating new assessments for teachers whose subjects are not already covered by state tests. Hamilton County Education Association President Sharon Vandagriff said she wondered if the money might be better spent. "I have to ask: Is that the way to spend money meant to bring new opportunities?" Nolan Elementary School Principal Ken Barker wondered how the state would use test scores to evaluate kindergarten teachers. Kindergarten students don't take standardized tests, and the tests officials plan to use for tenure decisions are based on what students learn in the course of a school year. "You have to establish a baseline, but what will that baseline be for kindergarten kids?" he asked. Most of these details will get ironed out in a 15-member committee made up of educators and lawmakers, said Rachel Woods, spokeswoman for the Tennessee Department of Education. The committee should be named in the next four to six weeks, Ms. Woods said, and state education Commissioner Tim Webb said he'd like to see work begin by early March. Ms. Woods said committee members likely will look at how other states measure their teachers, and also what tests already exist that Tennessee can use for evaluations. For some groups, the committee could decide to create a new test, Ms. Woods said. For others -- say, third-grade teachers -- the committee could decide to use average scores from first-, second- and third-grade students. A group of elementary and middle school music teachers plans to meet today to discuss suggestions it can give state officials on how to evaluate their performance. Michael Perryman, a music teacher at Harrison Elementary School who plans to attend the meeting, suggested having teachers videotape their students at the beginning of the class and at the end, much like he is having to do to earn National Board Certification. "It would be a snapshot, but then again, some people consider a test like TCAP to be a one-day snapshot as well," he said. "I'm really mystified how they're going to approach it."